The proven blueprint for creating and marketing products people buy. 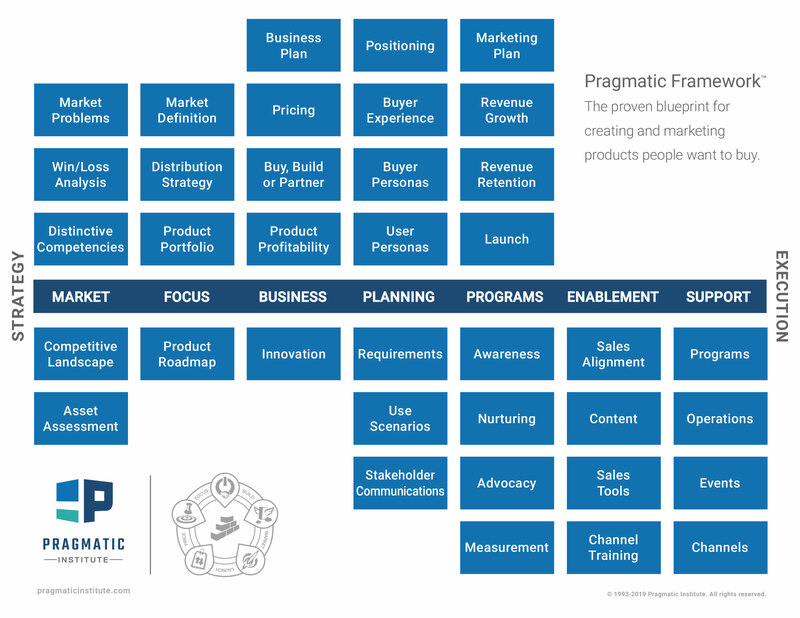 The Pragmatic Framework provides a standard language for your entire product team and a blueprint of the key activities needed to bring profitable, problem-oriented products to market. The best way to learn about the framework? Take our courses, where we’ll teach you practical ways to implement all of these strategies. But for a sneak peek, click on any of the boxes below to bring up a description. Select an activity to see a description. Stay up to date on our box of the month and get access to helpful tools and content. Sign up to receive our free The Pragmatic magazine, monthly invites to our webinars and updates about our most recent podcasts to stay up-to-date on the latest industry best practices. Download a copy of the Pragmatic Framework. Download the Pragmatic Framework Definitions. Download the Pragmatic Framework Skill Map.